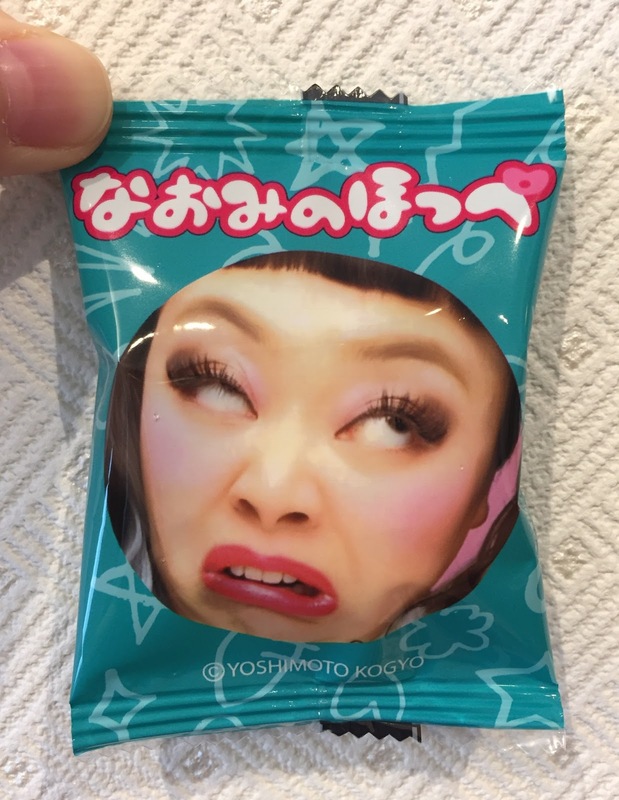 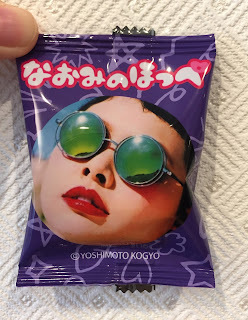 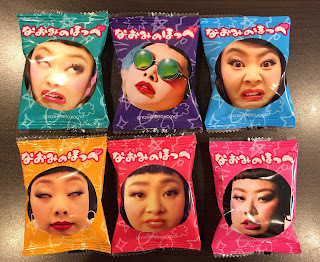 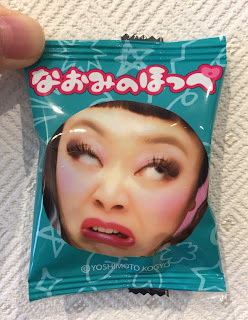 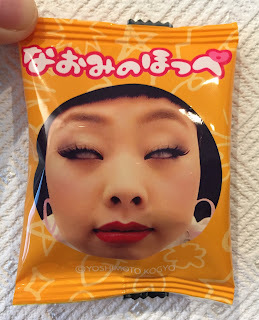 My husband went to Osaka and he bought me some unique snacks. 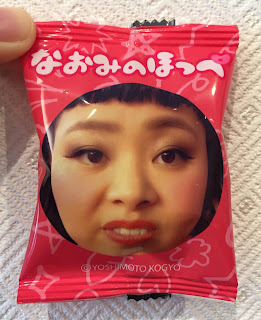 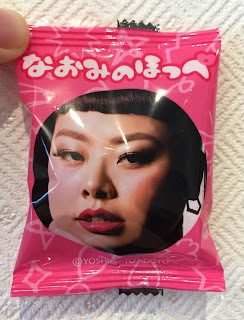 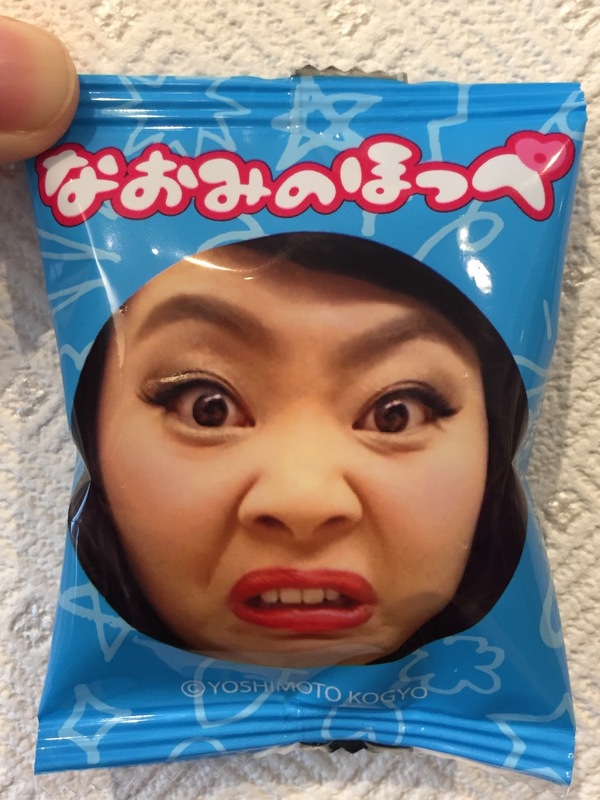 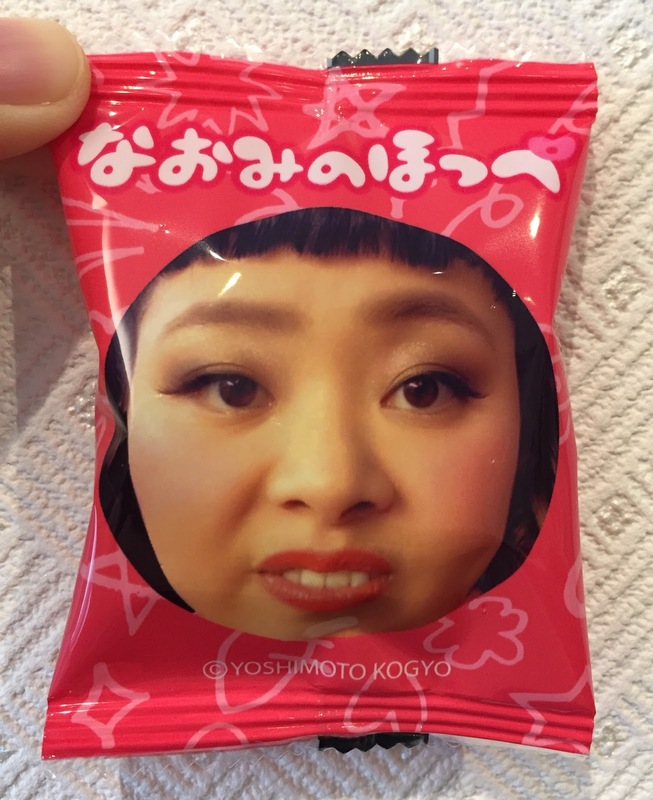 One of them was "Naomi's Cheeks (なおみのほっぺ, Naomi No Hoppe)" and Naomi is a Japanese comedian Naomi Watanabe (渡辺直美) who is most known for imitating Beyonce and also a producer of Punyus, which means chubby and the fashion brand has free size to 6L. 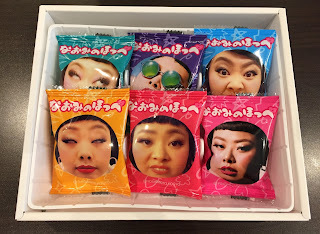 All the sides were colorful. 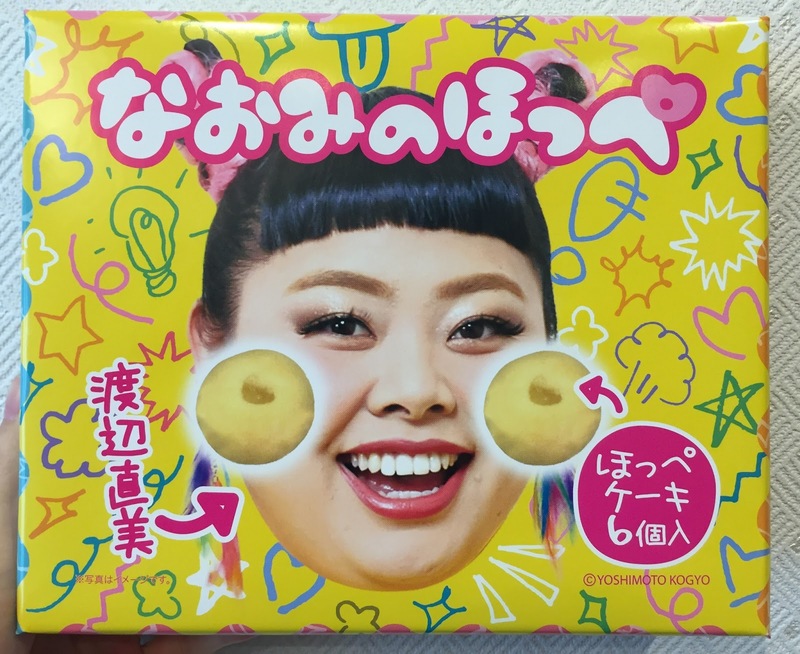 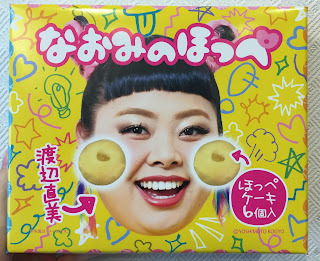 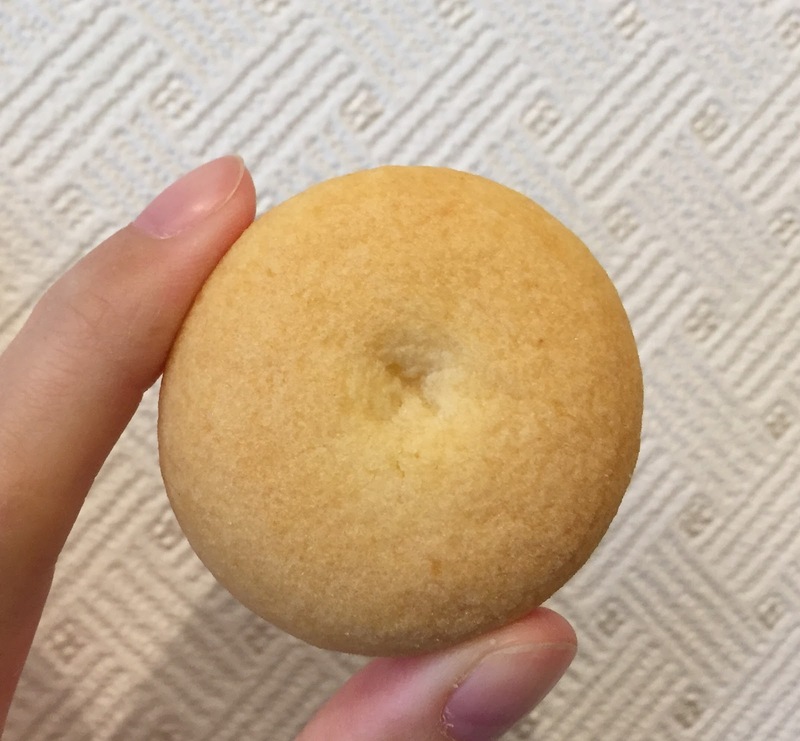 There're 6 pieces of Cheek Cakes. Each pouch had different pattern. 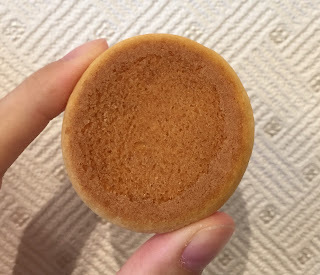 The surface was pale beige and the center had a dent. The bottom was golden brown. 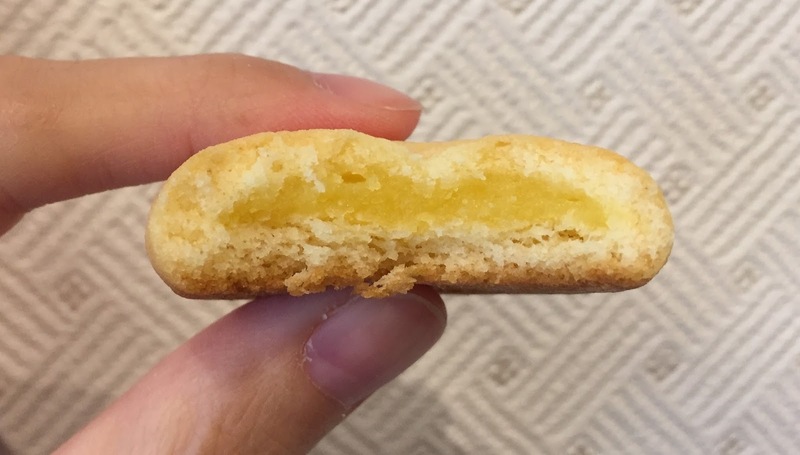 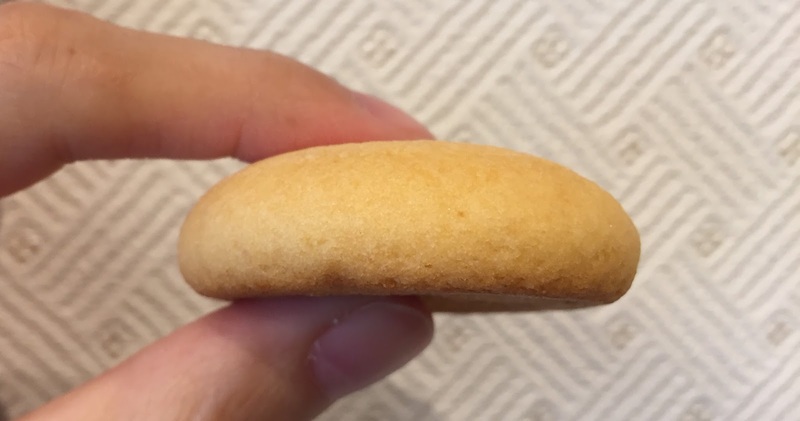 The dough was closer to sweet buns and soft cookies rather than a cake as it's moist yet lightly dense, and the filling in the center was custard.